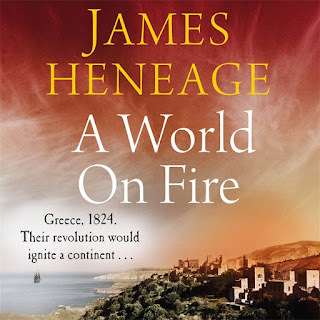 'A World on Fire' is the latest novel from James Heneage. This is a time shift from his Byzantium books to the Greek War of Independence. The author lives part of the year in the Peloponnese, where I spent a very pleasant holiday this year - including Napflio, the first capital of the newly independent Greece. His take on the revolution starts in the Mani, which is the barren tip of the Peloponnese, protected to a degree by mountains. His heroine is Hara, the daughter of a Maniot chieftain, who becomes embroiled in the revolution and the Ottoman counter-attack. This was led by Ibrahim Pasha of Egypt, who had a modern army trained by French mercenaries. He burned and butchered his way through the Peloponnese with the aim of resettling the land with Egyptians. His savagery helped the Greeks to build western sympathy for the Greek cause that eventually led to a joint British/French/Russian fleet entering the Bay of Navarino and sinking the Egyptian and Ottoman fleets. The author stretches the historical facts a little, but the broad canvas of 1824-26 is all there. 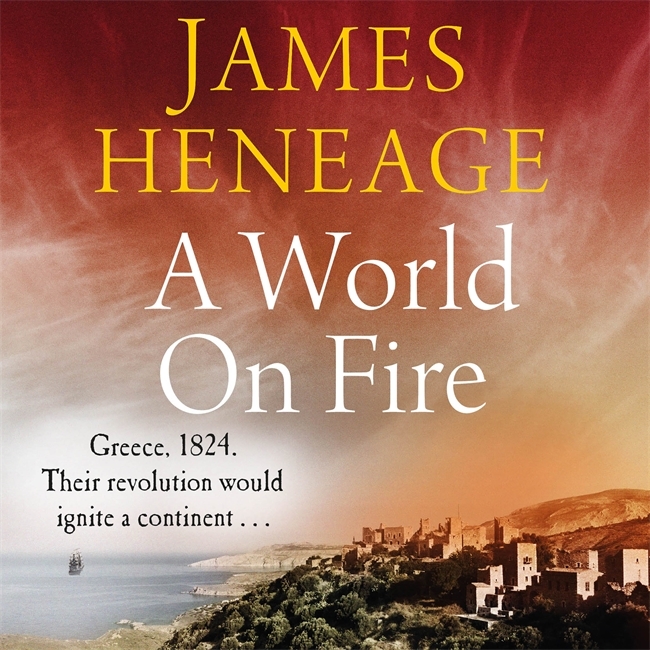 He tells a good story around the international events that led to the liberation of at least part of Greece from Ottoman rule. Some figures of the period from my collection in 15mm.